With popularity on the rise and sales records falling on a yearly basis, the Silver American Eagle coin entered 2011 celebrating 25 years of production and demand. The Proof Silver American Eagle was back on the market for just two years at this point following its 2009 halt in production. 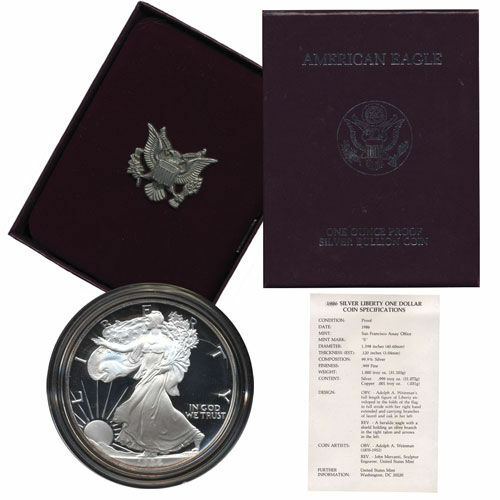 Today, 2011-W Proof Silver American Eagle coins are available in commemorative boxes from Silver.com. There were 937,455 proof coins struck in 2011! 25th Anniversary of the Silver American Eagle program! Ships in a commemorative case and includes a Certificate of Authenticity. Struck with West Point Mint “W” mint marks. The 25th anniversary of the Silver American Eagle in 2011 led to a number of different coins being struck in celebration. The standard 2011-W Proof Silver American Eagle had its third-highest mintage of all time in 2011, with a total of 937,455 coins. These weren’t the only proof coins struck in 2011 though, not by a long shot. As part of the 25th anniversary celebration, the US Mint struck burnished coins at the San Francisco Mint. 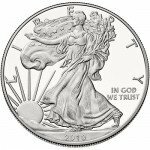 This was not only the first striking of Silver American Eagle burnished coins in two years, but also the first time Silver Eagles were struck in San Francisco since the 1990s. A reverse proof Silver American Eagle was also produced in 2011, this one made at the Philadelphia Mint. Each of the additional coins had low mintages of just 99,000 coins, and were included in a five-coin set along with the bullion, proof, and regular burnished version of the coin. Another high-water mark occurred for the Silver Eagle in 2011. Not only did the bullion version see its highest single-year mintage at 40.02 million, the program set a fourth-consecutive sales record with roughly 41.5 million coins produced in total. 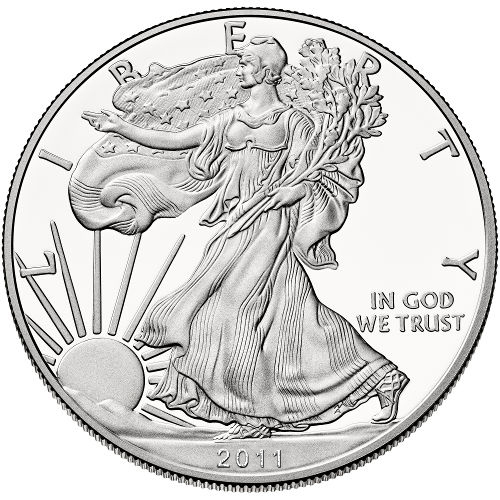 On the obverse was the Walking Liberty design from Adolph A. Weinman, refined from the 1916 design he created for the nation’s half-dollar coin. 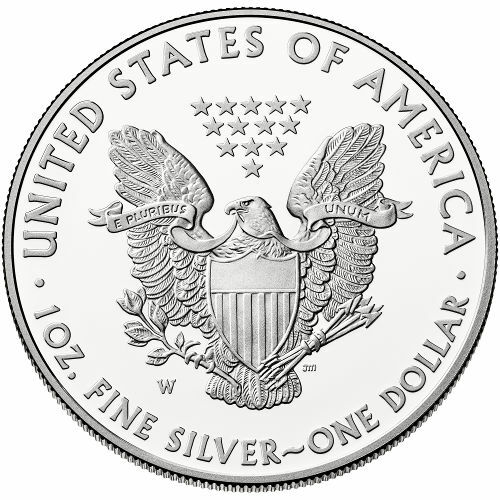 US Mint Chief Engraver John Mercanti modernized the heraldic eagle design for use on the Silver American Eagle’s reverse face. Please direct all of your questions to a Silver.com associate at 888-989-7223. You can also reach us online using our live web chat feature and email address.